Brad is currently the weekday morning news anchor on KOMO 4 TV in Seattle, Washington. Recently he served as a national correspondent for CNBC, the financial news network on the West Coast based in Seattle. For many years Brad has had a loyal following early everyday as the morning news anchor at KING 5 TV, and on weekends at events helping raise millions of dollars as a benefit auctioneer and emcee around the Puget Sound region. He brings a wealth of broadcast and live hosting experience having been in the spotlight for over 25 years as an award winning news anchor, reporter and host with a national reputation. Brad’s personality on camera has transferred well to the stage at live events. As a passionate auctioneer, he helps dozens of charities and other organizations raise money while entertaining supporters. Brad’s clients include, Epilepsy Foundation, Alzheimer’s Association, Overlake Hospital, Life Support, Maui Humane Society, 5th Avenue Theater, Smiles Forever and many other organizations and schools. Brad’s TV talent has been honed in a variety of experiences. He served as co-anchor of CNBC’s “Wake Up Call” in New York City covering the financial markets on Wall Street and around the world. Interviews included Fortune 500 CEO’s and roundtables with members of Congress and economists. Brad also has experience in the sports world anchoring for Fox Sports from Los Angeles on the primetime national program “Fox Sports News”. There he covered everything from the NBA finals, to the Super Bowl, World Series and Stanley Cup. Brad was also co-anchor of the NBC news magazine show “Extra” in Hollywood. In that role he covered the 1996 Olympic Games in Atlanta, the 1995 Oklahoma City bombing, and countless celebrity interviews and red carpet events. 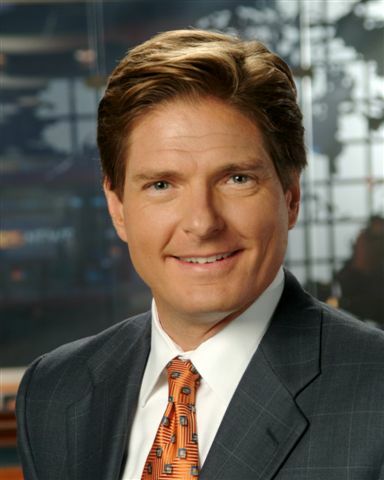 In addition, Brad also worked as weekend anchor/reporter at KCBS-TV in Los Angeles where he earned numerous awards including “Co-Reporter of the Year” by the AP in 1996. He also won an Emmy for his coverage of the 1993 Midwest floods while anchoring and reporting for WCCO-TV in Minneapolis. Brad has also been involved with the Alzheimer’s Association since 1998, and is a past board member of the Western Washington chapter.